Linear Tape-Open (or LTO) is a magnetic tape data storage technology originally developed in the late 1990s as an open standards alternative to the proprietary magnetic tape formats that were available at the time. Hewlett-Packard, IBM and Seagate initiated the LTO Consortium, which directs development and manages licensing and certification of media and mechanism manufacturers. Seagate's tape division was spun-off as Certance and is now part of Quantum Corporation. The standard form-factor of LTO technology goes by the name Ultrium, the original version of which was released in 2000 and could hold 100 GB of data in a cartridge. LTO version 6 released in 2012 can hold 2.5 TB in a cartridge of the same size. Upon introduction, LTO Ultrium rapidly defined the super tape market segment and has consistently been the best-selling super tape format. LTO is widely used with small and large computer systems, especially for backup. Half-inch (1⁄2-inch, 12.65 mm) magnetic tape has been used for data storage for more than 50 years. In the mid 1980s, IBM and DEC put this kind of tape into a single reel, enclosed cartridge. Although the physical tape was nominally the same size, the technologies and intended markets were significantly different and there was no compatibility between them. IBM called its format 3480 (after IBM's one product that used it) and designed it to meet the demanding requirements of its mainframe products. DEC originally called theirs CompacTape, but later it was renamed DLT and sold to Quantum Corporation. In the late 1980s, Exabyte's Data8 format, derived from Sony's dual-reel cartridge 8 mm video format, saw some popularity, especially with UNIX systems. Sony followed this success with their own 8 mm data format, Advanced Intelligent Tape (AIT). By the late 1990s, Quantum's DLT and Sony's AIT were the leading options for high-capacity tape storage for PC servers and UNIX systems. These technologies were (and still are) tightly controlled by their owners. Consequently, there was little competition between vendors and the prices were relatively high. IBM, HP and Seagate sought to counter this by introducing a more open format focusing on this market segment. Much of the technology is an extension of the work done by IBM at its Tucson lab during the previous 20 years. Initial plans called for two LTO formats to directly compete with these market leaders. Ultrium was half-inch tape on a single reel, optimized for high-capacity and Accelis was supposed to be 8 mm tape on dual-reels, optimized for low-latency. Around the time of the release of LTO-1, Seagate's magnetic tape division was spun off as Seagate Removable Storage Solutions, later renamed Certance, which was later acquired by Quantum. LTO Ultrium was developed as a replacement for DLT and has a similar design of 1⁄2-inch wide tape in a (slightly smaller) single reel cartridge. This made it easy for robotic tape library vendors to convert their DLT libraries into LTO libraries. An Ultrium cartridge's dimensions are 102.0 × 105.4 × 21.5 mm. An Ultrium drive reads data from a cartridge in its own generation and at least the two prior generations. An Ultrium drive writes data to a cartridge in its own generation and to a cartridge from the immediate prior generation in the prior generation format. As of December 2012[update] LTO-6 was the latest generation; further generations are planned as tabulated below. Compression capable? ALDC "2:1" LTO-DC "2.5:1" Planned "2.5:1"
First commercially available in September 2000. Initial capacity of 100 GB. First mechanisms approved in February 2003. First media approved in March 2003. Doubled capacity to 200 GB. Increased data transfer speed to 40 MB/s (maximum). First media approved in November 2004. Doubled capacity to 400 GB. Increased data transfer speed to 80 MB/s (maximum). Doubled number of write elements in head. First mechanisms approved in April 2007. First media approved in May 2007. Doubled capacity again to 800 GB. Increased data transfer rate to 120 MB/s (maximum). Introduced drive level encryption feature using 256-bit AES-GCM. Specifications announced January 19, 2010. The first LTO-5 drives appeared on the market in Q2, 2010. Increased data transfer rate to 140 MB/s (maximum). Introduced partition feature that allows tape to be "split" into two separately writable areas. This feature is required by LTFS. Licensing Specifications announced June 11, 2012. Increased estimated data-compression ratio due to a larger compression buffer. Increased data transfer rate to 160 MB/s (max). Data capacity and speed figures above are for uncompressed data. Most manufacturers list compressed capacities on their marketing material. Capacities are often stated on tapes as double the actual value; they assume that data will be compressed with a 2:1 ratio (IBM uses a 3:1 compression ratio in the documentation for its mainframe tape drives. Sony uses a 2.6:1 ratio for SAIT). See LTO-DC below. The units for data capacity and data transfer rates generally follow the "decimal" SI prefix convention (e.g. mega = 106) and not the binary prefix convention (e.g. mega = 220). Minimum and maximum reading and writing speeds are drive-dependent. While specifications vary somewhat between different drives, a typical LTO-3 drive will have a maximum rewind time of about 80 seconds and an average access time (from beginning of tape) of about 50 seconds. Note that because of the serpentine writing, rewinding often takes less time than the maximum. If a tape is written to full capacity, there is no rewind time, since the last pass is a reverse pass leaving the head at the beginning of the tape. 15 to 30 years archival. Regularly writing only 50% capacity of the tape results in half as many end-to-end tape passes for each scheduled backup, and doubles the tape lifespan. LTO uses an automatic verify-after-write technology to immediately check the data as it is being written, but some backup systems explicitly perform a completely separate tape reading operation to verify the tape was written correctly. This separate verify operation doubles the number of end-to-end passes for each scheduled backup, and reduces the tape life by half. The Linear Tape File System (LTFS) is a self-describing tape format and file system, which uses an XML schema architecture for ease of understanding and use. With LTFS tape media can be used in a fashion like other removable media (USB flash drive, external hard disk drive, etc.). It was first introduced with the IBM LTO Gen5 drive. With LTFS the drive may behave like a disk (drive) but it is still a tape with serial access. If a file is removed from the listing the associated tape blocks used are not freed up, they are simply marked as unavailable. Files are always appended to the end of the tape. Unlike a disk LTFS does not know the concept of permission and ownership. In the Unix/Linux world all files and directories on the tape are owned by root. One cannot chown or chmod items on tape. This makes LTFS unattractive as a backup solution – one still needs a third party application to manage the metadata (ownership, permission and timestamps). LTO Ultrium tape is laid out with four wide data bands sandwiched between five narrow servo bands. The tape head assembly straddles two adjacent servo bands, with 2 servo read heads and 8 or 16 data read/write heads. Each data head moves up and down within its own data sub-band the same width as the servo band. First, the head assembly is positioned so all tape heads are at the top of their sub-bands and 8 or 16 tracks are written in the forward direction. Then the head assembly is moved to the bottom of each sub-band and 8 or 16 tracks are written in the reverse direction. The set of tracks written at the same time is referred to as a "wrap". Alternating forward and reverse wraps are written as each data sub-band is filled up in 0, 2, 4, ..., 5, 3, 1 order. When the first data band is filled (they are actually filled in 3, 1, 0, 2 order across the tape), the head assembly is moved to the second data band and a new set of wraps is written. The total number of tracks on the tape is (4 data bands) × (11–20 wraps per band) × (8 or 16 tracks per wrap). For example, an LTO-2 tape has 16 wraps per band, and thus requires 64 passes to fill. The block structure of the tape is logical so interblock gaps, file marks, tape marks and so forth take only a few bytes each. In LTO-1 and LTO-2, this logical structure has CRC codes and compression added to create blocks of 403,884 bytes. Another chunk of 468 bytes of information (including statistics and information about the drive that wrote the data and when it was written) is then added to create a 'dataset'. Finally error correction bytes are added to bring the total size of the dataset to 491,520 bytes (480 KiB) before it is written in a specific format across the eight heads. LTO-3 and LTO-4 use a similar format with 1,616,940-byte blocks. New for LTO-3 was write once read many (WORM) capability. This is normally only useful for legal record keeping. An LTO-3 or later drive will not erase or overwrite data on a WORM cartridge, but will read it. A WORM cartridge is identical to a normal tape cartridge of the same generation with the following exceptions: the cartridge memory identifies it to the drive as WORM, the servo tracks are slightly different to allow verification that data has not been modified, the bottom half of the cartridge shell is gray, and it may come with tamper-proof screws. WORM-capable drives immediately recognize WORM cartridges and include a unique WORM ID with every dataset written to the tape. There is nothing different about the tape medium in a WORM cartridge. Compliance-Verified licensed manufacturers of LTO technology media are EMTEC, Imation, Fujifilm, Maxell, TDK and Sony. All other brands of media are manufactured by these companies under contract. Since its bankruptcy in 2003, EMTEC no longer manufactures LTO media products. Verbatim and Quantegy both licensed LTO technology, but never manufactured their own compliance-verified media. The colors of LTO Ultrium cartridge shells are mostly consistent, though not formally standardised. HP is the notable exception. Sometimes similar, rather than identical, colors are used by different manufacturers (slate-blue and blue-grey; green, teal, and blue-green). UCC means universal cleaning cartridge, which works with all drives. Different manufacturers use different names for the same color sometimes. The names in the table above come from each manufacturer's own documentation. WORM (write once, read many) cartridges are two-tone, the top half of the shell is the normal color of that generation for that manufacturer, and the bottom half of the shell is a light grey. Every LTO cartridge has a cartridge memory chip inside it. It is made up of 256 (128 on LTO-1, 2 and 3) blocks of memory, where each block is 32 bytes for a total of 8 KB (4 KB on LTO-1, 2 and 3). This memory can be read or written, one block at a time, via a non-contacting passive RF interface. This memory is used to identify tapes, to help drives discriminate between different generations of the technology, and to store tape-use information. Every LTO drive has a cartridge memory reader in it. The non-contact interface has a range of 20 mm. External readers are available, both built into tape libraries and PC based. One such reader, Veritape, connects by USB to a PC and integrates with analytical software to evaluate the quality of tapes. This device is also rebranded as the Spectra MLM Reader and the Maxell LTO Cartridge Memory Analyzer. The tape inside an LTO cartridge is wound around a single reel. The end of the tape is attached to a perpendicular leader pin that is used by an LTO drive to reliably grasp the end of the tape and mount it in a take-up reel inside the drive. When a cartridge is not in a drive, the pin is held in place at the opening of the cartridge with a small spring. A common reason for a cartridge failing to load into a drive is the misplacement of the leader pin as a result of the cartridge having been dropped. The plastic slot where the pin is normally held is deformed by the drop and the leader pin is no longer in the position that the drive expects it to be. Older single-reel tape technologies used different means to load tape onto a take-up reel. The LTO cartridge label uses the bar code symbology of USS-39. A description and definition is available from the Automatic Identification Manufacturers (AIM) specification Uniform Symbol Specification (USS-39) and the ANSI MH10.8M-1993 ANSI Barcode specification. The magnetic servo tracks on the tape are factory encoded. Using a bulk eraser (or otherwise exposing the cartridge to a strong magnetic field) will erase the servo tracks along with the data tracks, rendering the cartridge unusable. Current Compliance-Verified licensed manufacturers of LTO technology mechanisms are IBM, Hewlett-Packard, Quantum, and Tandberg Storage. Although keeping a tape drive clean is important, normal cleaning cartridges are abrasive and frequent use will shorten the drive's lifespan. LTO drives have an internal tape head cleaning brush that is activated when a cartridge is inserted. The LTO specification describes a Data Compression method LTO-DC, also called Streaming Lossless Data Compression (SLDC). It is very similar to the algorithm ALDC which is a variation of LZS (a patent-encumbered algorithm controlled by Hi/Fn). The primary difference between ALDC and SLDC is that SLDC does not apply the compression algorithm to uncompressible data (i.e. data that is already compressed or sufficiently random to defeat the compression algorithm). Every block of data written to tape has a header bit indicating whether the block is compressed or raw. For each block of data that the algorithm works on, it saves a copy of the raw data. After applying the compression function to the data, the algorithm compares the "compressed" data block to the raw data block in memory and writes the smaller of the two to tape. Because of the pigeonhole principle, every lossless data compression algorithm will end up increasing the size of some inputs. The extra bit used by SLDC to differentiate between raw and compressed blocks effectively places an upper bound on this data expansion. LTO-DC achieves an approximately 2:1 compression ratio when applied to the Calgary Corpus. This is inferior to slower algorithms such as gzip, but similar to lzop and the high speed algorithms built into other tape drives. It should be noted that plain text, raw images, and database files (TXT, ASCII, BMP, DBF, etc.) typically compress much better than other types of data stored on computer systems. In contrast, encrypted data and pre-compressed data (PGP, ZIP, JPEG, MPEG, MP3, etc.) would normally increase in size, if data compression was applied. In some cases this data expansion could be as much as 15%. With the SLDC algorithm, this significant expansion is avoided. The LTO-4 specification added a feature to allow LTO-4 drives to encrypt data before it is written to tape. All LTO-4 drives must be aware of encrypted tapes, but are not required to actually support the encryption process. In fact HP LTO-4 tape drives support encryption, but IBM drives require purchasing an additional $2500 license to enable it. The algorithm used by LTO-4 is AES-GCM, which is an authenticated, symmetric block cipher. The same key is used to encrypt and decrypt data, and the algorithm can detect tampering with the data. Tape drives, tape libraries, and backup software can request and exchange encryption keys using either proprietary protocols, or an open standard like OASIS's Key Management Interoperability Protocol. The tape drives use a strong error correction algorithm that makes data recovery possible when lost data is within one track. Also, when data is written to the tape it is verified by reading it back using the read heads that are positioned just 'behind' the write heads. This allows the drive to write a second copy of any data that fails the verify without the help of the host system. As hard disk drive prices have dropped, disk has become cheaper relative to tape drives and cartridges. As of 2013[update] the cost of an LTO-5 drive taking tapes of up to 1.5 TB true (uncompressed) capacity was about US$1800. As of 2013[update] a tape cartridge is still cheaper than a disk drive, as a 1.5 TB magnetic tape cartridge costs about US$40 whereas a hard disk drive with the same capacity costs about US$70 to US$100. The presence of five certified media manufacturers and four certified mechanism manufacturers has produced a competitive market. This has led to attractive prices for customers and high sales volumes for manufacturers. In 2002 LTO out-shipped SDLT by nearly 2 to 1. Sales since then have dominated other "super" formats (SDLT, SAIT). As a result, Quantum discontinued development of new DLT products in February 2007 and Sony followed suit by declaring AIT End-of-Life in March 2010. Some planned LTO variations were not produced, or produced only briefly. LTO technology was originally designed to come in two form factors, Ultrium and Accelis. As of 2008 LTO Ultrium was very popular and there were no commercially available LTO Accelis drives or media. In common usage, LTO generally refers only to the Ultrium form factor. 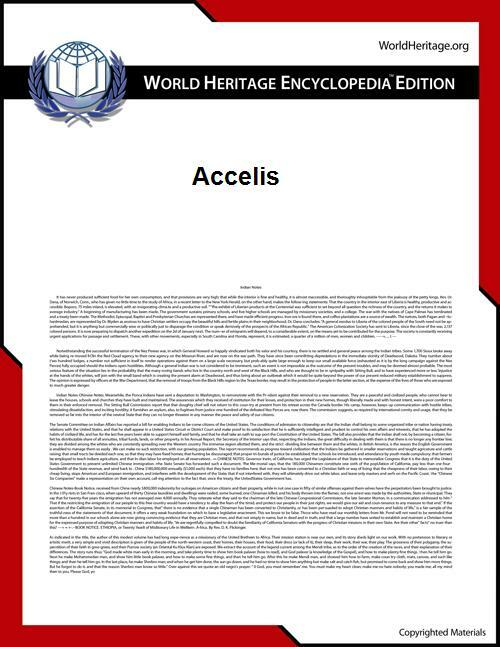 Accelis was developed in 1997 for fast access to data by using a two-reel cartridge that loads at the midpoint of the 8 mm wide tape to minimize access time. IBM's (short-lived) 3570 Magstar MP product pioneered this concept. The real-world performance never exceeded that of the Ultrium tape format, so there was never a demand for Accelis and no drives or media were commercially produced. The first generation of Ultrium tapes were going to be available with four types of cartridge, holding 10 GB, 30 GB, 50 GB, and 100 GB. Only the full length 100 GB tapes were produced. HP LTO Gen.1 drives have a cleaning strategy that will prevent the drive from actually using the cleaning tape if it is not needed. In a change of strategy, HP LTO Gen 2, 3 and 4 drives will always clean when a Universal Cleaning Cartridge is inserted, whether the drive requires cleaning or not. Commons has media related to Linear Tape-Open.